This article highlights the importance of the capability to keep applying horizontal force to the ground at high velocities. Considering the small-to-moderate changes immediately after stretching and the study limitations, stretching within a warm-up that includes additional post-stretching dynamic activity is recommended for reducing muscle injuries and increasing joint ROM with inconsequential effects on subsequent athletic performance. 3. Sprint Running Performance Monitoring: Methodological and Practical Considerations. This article provide statistical guidelines to accurately assess changes in individual performance; i.e. considering both the smallest worthwhile change in performance and the typical error of measurement, which can be reduced while repeating the number of trials. 4. Beyond muscles: The untapped potential of creatine. Lisa A. Riesberg. International Immunopharmacology. Jan 2016. There is increasing evidence that creatine may have a regulatory impact on the immune system. 5. The training-injury prevention paradox: Should athletes be training smarter and harder? Tim J Gabbett. British Journal of Sports Medicine. Jan 2016. There is dogma that higher training load causes higher injury rates.There is evidence that under-training may increase injury risk. Collectively, these results emphasise that reductions in workloads may not always be the best approach to protect against injury. Benz, Adam MKin, CSCS; Winkelman, Nick MSc, CSCS*D, NSCA-CPT*D; Porter, Jared PhD; Nimphius, Sophia PhD, CSCS*D.Strength and Conditioning Journal. Feb 2016. 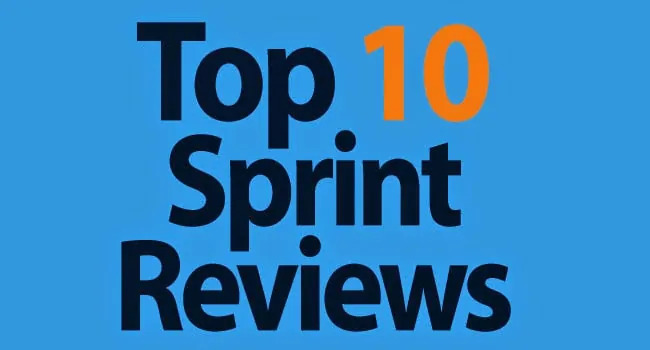 The purpose of this article is to translate the findings from the literature regarding the benefits and effects of coaching instructions and cues on sprint performance. 7. Physical exercise increases adult hippocampal neurogenesis in male rats provided it is aerobic and sustained. Sustained aerobic exercise enhances adult hippocampal neurogenesis (AHN) [brain cells] in rodents more than other forms of exercise. 8. The Effects of Repeated Push Sled Sprints on Blood Lactate, Heart Rate Recovery and Sprint Times. The results suggest that repeated push sled sprints ? 15 kg load may be beneficial to adapting the fast glycolytic system. 9. The Making and Unmaking of Elite Athletes: The Body Informed Transition out of Sport. Sarah Elizabeth Gairdner. Department of Exercise Science. University of Toronto, 2015. A very interesting PhD thesis on an important topic. 10. Chronic Hamstring Problems in Sprinters. 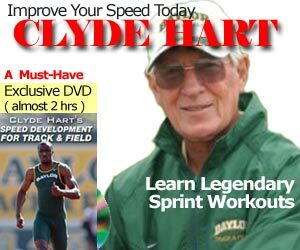 A nicely researched article from a coach and Masters sprinter.